Lots of new features on ye olde Drunkard to keep an eye out for in 2008 – the first of which, Retro TV Themes Revisited, aims to mine our long-running collection of past television (aural) glories. Have at it in the comments. Yeah, book ’em, Danno. As you can probably guess, this is but the first of two Hawaii-based, detective shows’ theme songs that will grace AD’s TV Themes Revisited feature. Hawaii Five-O, besides being one of the longest running shows in television history, set the stage for a whole slew of like-minded dramas, including Magnum P.I. who owes its existence to the fact producers wanted to capitalize on the Five-O’s sets after the show ended. Now how ’bout that, Magnum? + Download your digital music via eMusic’s no risk 25 Free MP3 trial offer. Oh well, maybe someday when the writer’s strike ends we’ll get a show with a kickass theme song that will prove to be blogworthy in 30 years. @Barry – You are mostly correct however check out the theme to The Venture Brothers as well as the music written for the show. For the network shows at least, there are now so many more commercials than back in the Hawaii 5-0 days (or the Magnum era, for that matter) that there is just no time left for a decent theme plus a complete story-line. can we talk a little bit about the themesong from ‘simon & simon’? it’s a favorite of mine- as a straight up pop gem, let alone a themesongs. nice call on the Five-O, a bona fide listener for sure! i used to do sound for a bar in detroit circa ’95 and we had a “surf tribute” nite. anyone ever hear the sound of six surf bands reverbin’ over who gets to do the Five-O theme? man… great concept for posts A.D., stay cool baby… will we see some Barney Miller? 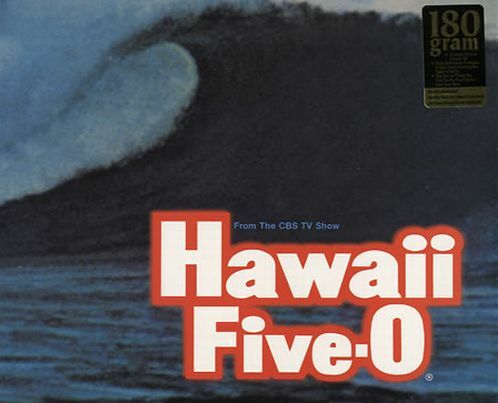 Lived four years on Oahu…it might sound funny, but the majority of folks would love to see another Hawaii Five-O make it in the network line-up. Anywho, I’ll never get tired of the Ventures, but there is an awesome Ska version of the Hawaii Five-O theme. Can’t remember who did it, but it kicks. i’ve being after that ska verion for over 10 years and i don’t know who di it either.